NextGen Player - Canada's Premier Entertainment Blog: 2009...Year of the PS3? 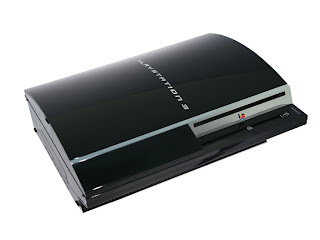 Already a month into 2009 and one of the questions on my mind has been if this will be the PS3’s year to standout and shine. Sure...in 2008 the PS3 had its moments. Great titles such as Metal Gear Solid 4, LittleBigPlanet and Resistance 2. The onset and release of Home Beta. Growing console sales (up 40% in 2008). But amongst all of these positives, it seemed as though much of the focus in 2008 still revolved around the Xbox 360 and Nintendo’s Wii and DS. Rolling into 2008, Xbox 360 had already claimed exclusive DLC for Grand Theft Auto 4 and at E3 that year announced exclusive DLC for Fallout 3. News that they would also get Final Fantasy XIII was huge and at the same time took some of the lustre away from PS3’s exclusive line-up in 2009. Console sales continued to be strong for the Xbox 360 as the console jumped ahead during the critical holiday season with a price drop. The launch of the NXE later in the year brought new life to an already solid Xbox LIVE platform. On the flip side, Nintendo was also solidifying it's presence with the continuous surge in hardware sales of both the Wii and DS, also boasting some heavy hitting titles of its own in Super Smash Bros Brawl, Mario Kart Wii, Wii Fit, and continual sales of 2007 titles such as Wii Play, Mario Kart DS and Legend of Zelda: Phantom Hourglass. But that was all in the past...2008 is yesterday’s news. We’re now in 2009. So what does that mean for the PS3? Likely an opportunity to truly set itself apart from the pack. So let’s break it down for a clearer picture. Console sales for the PS3 has finally reached 20 million units worldwide. VGChartz showed in January 2009 this important milestone for the PS3 – and a big one at that. To have finally reached the 20 million mark was a great way to ring in the New Year. They’ve been steadily keeping pace with the Xbox 360 and are approx. 8 million units behind. Not bad considering that the Xbox 360 had a year head start in the market. Then there's rumours pointing to a $100 price drop later this spring which makes for a very attractive price point for people sitting on the fence about purchasing a PS3. Another key influencer to aid in the sale of the PS3 is the blu ray factor. Blu ray movies are continuing to drop in price and many new releases sell at a price point only slightly above its DVD cousin. As momentum to adopt the blu ray format continues to grow, this trend will likely help to sway potential console buyers to seriously consider the purchase of a PS3 as well. Game titles lined up for 2009 boast some of the most hotly anticipated games for the year. First off, there’s the exclusive Killzone 2. The overall reviews and impressions on this game have been nothing short of amazing. Uncharted 2: Among Thieves is the sequel to the highly successful Uncharted: Drake’s Fortune. It’s safe to say there will be many people looking forward to picking up this game when it releases this year. God of War 3 is another exclusive that many fans have been waiting with baited breath for its release. The God of War franchise has been one of the most successful for the PS2 and so it’s not unreasonable to think it will bring similar success for the PS3. Final Fantasy XIII...yes, it’s no longer an exclusive in North America and Europe (as was announced at E3 in 2008), however that shouldn't take away from the fact that this game will no doubt sell successfully on the PS3 platform. Heavy Rain: The Origami Killer has gathered alot of buzz due to the life like visuals that truly take advantage of the PS3’s processing power. These are some of the key titles that the PS3 will rely on to bring...as Borat would say...great success. Having a strong line-up of exclusive titles is exactly what Sony needs to sell more hardware in 2009. Let’s move on to online. PS3 launched the open beta for Home in December 2008. Since the launch, it’s been reported that Home has generated approx. $1 million dollars (USD) in virtual goods sales. That’s pretty impressive considering that it has been open to the public for only 2 months now. Home should serve as a solid revenue generator for Sony as long as it continues to develop it into a socially focused and user defined experience. And the key here is the social aspect. Home is a virtual playground that allows PS3 users to easily engage with each other or by one's self on many levels – listen to music, play games, chat, watch videos, shop, personalize, buy virtual clothes, furniture, etc. Combine this with the already popular free online play and evolving multiplayer structure and the future looks bright for online. How about Trophies? Well, what about them? More games supporting trophies adds increases the overall fun factor. C’mon...many of us will admit it’s pretty cool when the Trophy notification pops up on the screen after you’ve accomplished a certain task. In addition, as of January 2009 Sony is making Trohpies mandatory in games released for the PS3. Multimedia capabilities will continue to be a strength for the PS3 in 2009. Whether it be streaming HD video, listening to music, watching blu ray movies, PSP integration or connecting an external compatible device such as a HD Sony camcorder, there are many things outside of gaming that will bring added value and increased level of interaction to the PS3. So there you have it. A holistic – well, as holistic as I can get – outlook for the PlayStation 3 in 2009. Looking at all of the factors above, it’s hard to argue against the PS3 having the potential for a great and probably most successful year in its existence. Will it be enough to propel it beyond the Xbox 360 and Nintendo Wii? It’s too early to tell at this point, but definitely not unrealistic. Didn't all you media types say that 2008 was the year of the PS3? I already knew about the console sales numbers for the PS3 being less at this point in time compared to last year, but this article is to look at some of the existing and upcoming factors that could contribute to a possibly successful year for the PS3. It's only February. There's still 10 more month's to go. Dont forget about granturismo 5 this year as well as MAG and DC universe Online and QUANTAM THEORY sonys gears killer. I really get tired of reading this same story time after time again. IF this is going to be a good year for Sony, let them advertise it, we don't need a bunch of cheerleaders in the media saying the same crap on a dozen different web sites at the start of every year. Only to then turn around and watch Sony delay, cancel, and under deliver on half the crap you media people promised for them. All this while MS pulls another surprise out of its hat and steals the year like they have since the 360 launch. This was a pretty boring article. Tell us something new if you are going to form 9 paragraphs into an article. What about new PSone games, shouldn't they get on that for the PSN? How about the PS2 Games on the PSN? What about rumored titles that may actually turn the tide. Get back to your internet. I have a PS3, but have found myself playing Left4Dead and Fallout 3 on PC more than anything on my PS3. Seriously an entire paragraph dedicated to their lackluster Trophy system is depressing. Sony should at least give you a PSN $1 bill for every game you 100%. Nice try but fail. Not to mention the fact that you bring up home, that although yes it is generating revenue, it has been universally panned by anyone who doesn't find it fun to gyrate in front of the few women walking around. This is the second blog I've read that actually paints a realistic, optimistic outlook for the PS3. I say this after 2 months of non-stop, overblown crap from every website like CNN to your grandma's twitter that the PS3 is done, a waste of space, and will die a gruesome death. Its amazing how fast news comes and goes and how tiny our attention-spans has become. I agree that the sinking ship claims were overblown, but so are all of these 'the year of the ps3' comments thrown left, right, and center. Let's look at it this way, for 2008, all you heard at the beginning of the year was 'MGS4, Resistance 2, LBP, and Home are going to make 2008 the year of the PS3!' and what happened? One year later, still in third by a large 8 million unit margin. Stop with the baseless, clearly subjective claims! These games listed will clearly be good games to own, but it requires people buy them. MGS4 just hit 1 million American sales last month! That is a flagship title! Meanwhile Halo 3 is poised to surpass 10 million copies sold! All I am saying is lets hold off on the huge claims of what system is going to do what in which year, and instead analyze what each system has done, and what can they do to make it better!!! Will it be enough to propel it beyond the Xbox 360 and Nintendo Wii? It’s too early to tell at this point, but definitely not unrealistic. Really - wow - someone is still drinking the kool-aid. Since the launch, it’s been reported that Home has generated approx. $1 million dollars (USD) in virtual goods sales. Really - $1m will keep this afloat? Didn't they lose $2.9 B in 2008. EB Games - Killzone 2 Promotion?